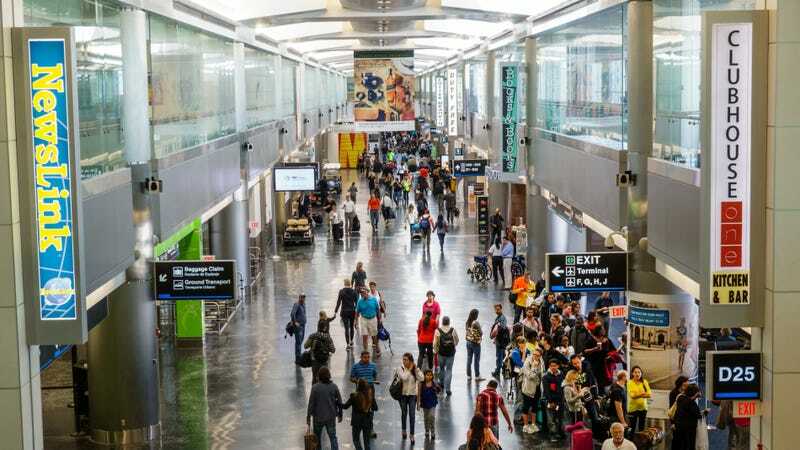 After years of lobbying from the union representing restaurant and bar employees at Miami International Airport, airport restaurant parent company HMS Host finally agreed last November to automatically add an 18 percent tip to guest checks. Workers praised the change, saying it significantly increased their take-home pay. But their victory was short-lived, as the Miami Herald reports the Miami-Dade County aviation department has told restaurants to do away with the automatic gratuity by April 15. An airport representative told the Herald a guest complaint spurred the change, though some airport restaurants have added the automatic gratuity for years. The aviation department cites a 1975 county code stating airport employees can’t “solicit a tip,” and has told airport restaurants they may add a suggested tip amount or place tip jars on counters. Workers are devastated. One who works at a chicken restaurant and spoke to the Herald was reportedly in tears describing the new policy, saying “Tips are half of what I make. … How am I going to feed my kids and pay my bills?” As restaurants around the country grapple with tipping policies and healthcare surcharges, it’s worth reading the whole article for the workers’ accounts of how the automatic gratuity policy affected their paychecks. In response to the employees’ outcry, Miami mayor Carlos Gimenez has pledged to have his staff rewrite the 1975 code that prohibited an automatic tipping policy, effectively allowing the auto tips to be reinstated. Why did Miami’s airport institute automatic tips in the first place? We have a lot of unanswered questions. Can customers ask to take it off? How were they even made aware of this policy? Was it listed as a line item on the bill? And if it was mandatory (and The Takeout firmly supports the idea of generous tipping), what sort of legal challenges did such a policy face? Was it presented as a service charge? Reportedly, many international travelers passing through the airport weren’t accustomed to America’s tipping policies and would not leave gratuity. (Only half of passengers through Miami are on domestic flights, the Herald notes.) The county’s aviation commission has warned airport restaurants against the automatic tip before, but when many flouted this guidance, the county didn’t follow up. There are lots of details to this story, including minimum-wage laws and union negotiations, so give the full Herald article your attention. Is there a difference between chicken nuggets and chicken tenders? Introducing The Takeout&apos;s fantasy food draft: Which is the best take out/delivery food?